Pretreatment plants & pretreatment systems can be defined as a brooder area of pre-cleaning process , here the basic theory of pretreating the component remains the same but with addition of modernization and sophisticated methods. pretreatment systems are normally used for high production facilities where number of different components or jobs need to be pre-cleaned and the sent for powder coating or painting. Life of a component basically depends on how clean is the component before it sent to painting, in addition to this a coat of phosphate needs to be given to the product for better adhesion of paint and the component, thus these type of plant or systems are also known as Phosphating plants. PHOSPHATING PLANTS are divided to two main streams Dip Pretreatment Plants and Spray Pretreatment Plants; the setup for such pretreatment system is as per the requirement of the production. If the production is low then it is suitable to go for a dip pretreatment system or a dip Phosphating plant and if very high production quantities the for a spray pretreatment plant. DIP PHOSPHATING PLANT are more useful when there is a lack of space or lack of budget and also for very large components that cannot be handled automatically or with the help of conveyor system, Some components which are been stored for longer time in the stores after the manufacturing is complete , have traces of rust and machine oil . Such components lack in paint Adasen if directly painted, therefore there are been layer up in baskets and sent for dip pretreatment process. 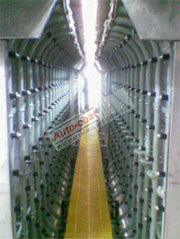 This pre cleaning process can have more stages as per how bad is the quality of fabricated job, after the Phosphating process and before painting it is better to dry the component so as to remove all water content .Autocoat Engineering has been a part of the painting, pretreatment for powder coating and pretreatment for painting industry for more than 30 years , having a variety of designs and pretreatment plant specifications to get the best output. 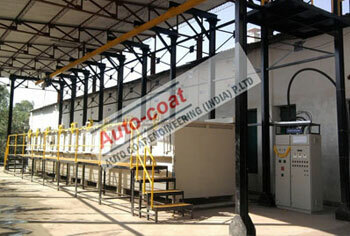 Pretreatment Plant for Powder coating or painting has a higher financial necessity for such installation. 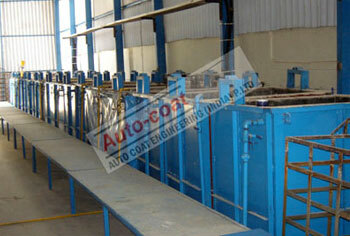 Usage of lower man power in such systems help in machining consistent quality of the spray Phosphating plant. 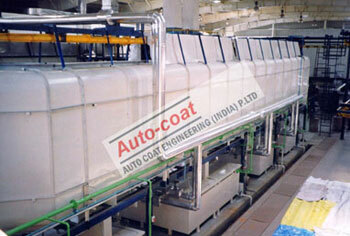 Autocoat Engineering has a vast experience in manufacturing of spray pretreatment systems, Concept designing, manufacturing, installation, commissioning & training are the strengths of our company. With the vast experience of Autocoat Engineering in the field of paint, pretreatment process surface finishing techniques all above de oil, rust, phosphate coat related problems can be solved, and a customized way of handling different products can be achieved. PRETREATMENT SYSTEM is a process in which the surface of the component to be painted is chemically cleaned and prepared for the painting operation .Metallic components can be freed from impurities with proper PRETREATMENT, using degreasing and derusting solutions, coated with a protective layer of phosphates and passivated for lasting effects. In the past, more often than not, manufactures had been inclined to ignore or underplay the importance of precleaning and pretreating a component/article in a methodical and scientific manner, prior to paint finishing. It was the general belief that all that mattered to the finish of a component was the paint alone. 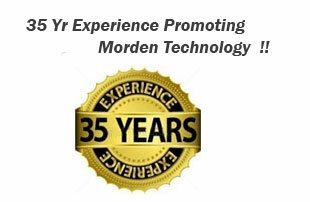 Degreasing -: Helps to remove the oil stances from the machined or manufactured component. The higher the stains of oil on the commodity, the more tanks of this stage to be added in the pretreatment process. To discover a surface finishing free from oil these tanks filled with degreasing solution play a very important role. Derusting -: Derusting stage of the pretreatment process is bath of chemical to remove me the rust and make it free from corrosive areas, for a better surface finishing. Phosphating-: the third most important stage of pretreatment process is Phosphating. The phosphate liquid forms a phosphate coat on the metal surface, which in turn becomes an integral part of the product. This phosphate coat developed on the metal surface, makes the surface more adaptive to the paint to be sprayed on it. Phosphating plant was the general belief that all that mattered to the finish of a component was the paint alone, and that the durability of the finish could be improved by merely applying more coats or a thicker one. Therefore, the need to provide surface protection for the component after cleaning will be recognized. This is achieved by treating the cleaned surface in suitable solutions, whereby a certain thickness of a protective coat is formed which prevents rust formation and rust creep. In the pretreatment or surface protection stage there is a Phosphating/ chromatizing operation which provides the protective coat and later, after a cold water rinse, a passivating operation, wherein the phosphate coat is made less active, further reducing the chances of rust formation. In general, there are two alternative pretreatment systems or Phosphating plant as they are called, viz. the dip system (cold or hot process) and the spray system. Meanwhile, ask for details of our complete painting plants consisting of pretreatment and stoving equipment, conveyor, spray booths and spray painting equipment.